Kristen Bell looks AMAZING. Hair. Face. Dress. 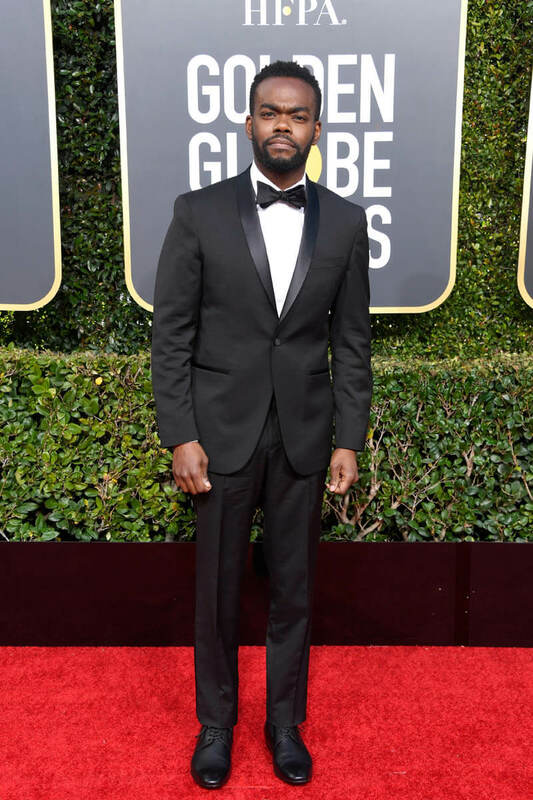 I was all set to say it was the best she’s ever looked, but the last time I said that was the 2017 Globes, and that look miiight still be the champion. I wrote in that post that she seemed more ‘herself’ than she had in a long time. 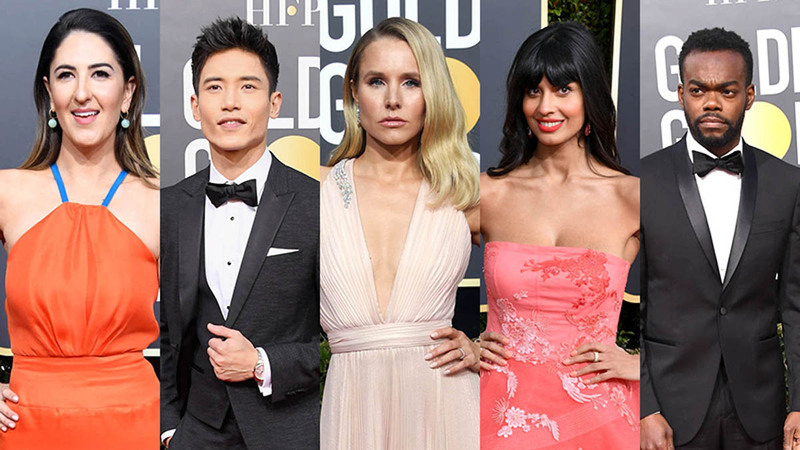 Now we know that was because she was on the truly delightful The Good Place – everyone’s favourite show that got absolutely no love last night, which is too bad. 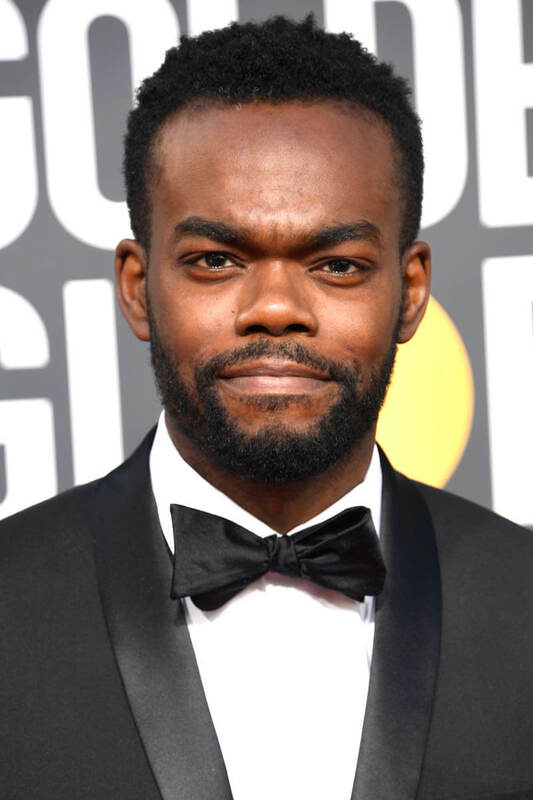 Because look at this cast! 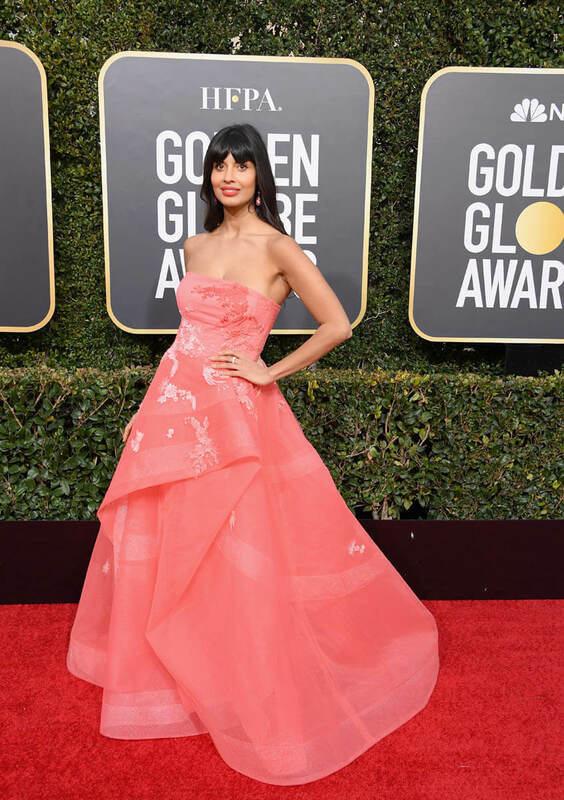 That is actress Jameela Jamil. 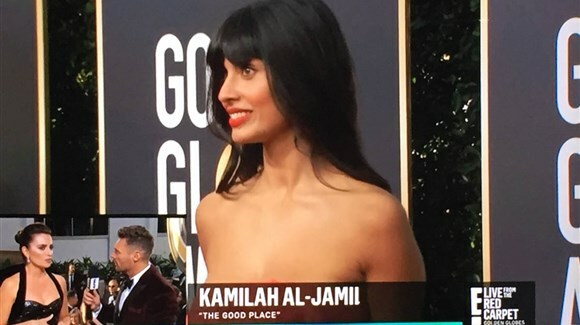 She plays a character called Tahani Al-Jamil on The Good Place, but the super bears neither her name nor her characters’ name. 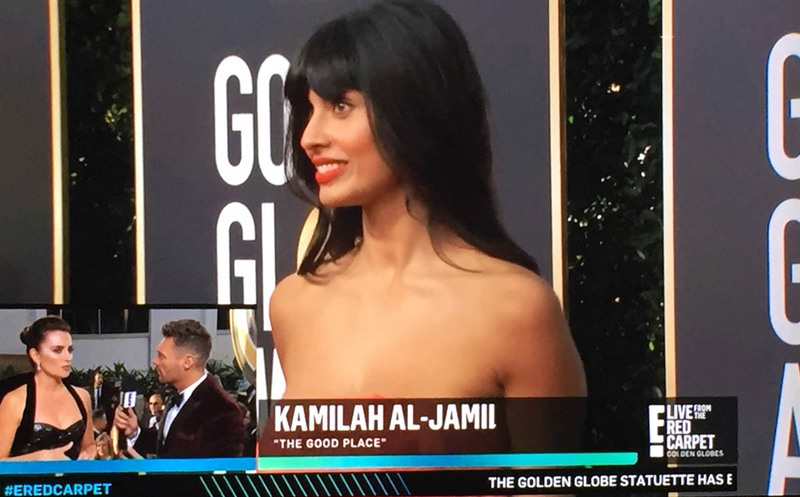 On The Good Place, Tahani Al-Jamil (played by Jameela) is a wealthy socialite celebrity namedropper who is relentlessly haunted by the success of her younger, famous-er, WAY more beloved sister… Kamilah Al-Jamil. 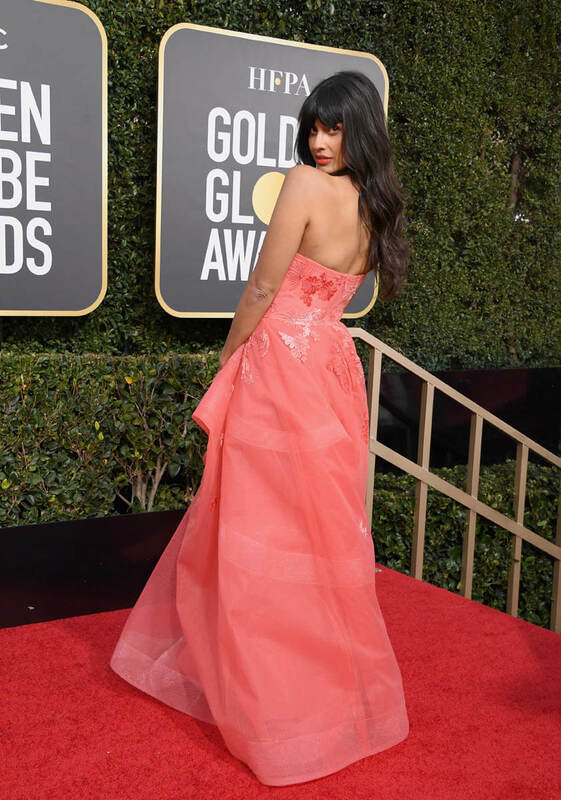 Nothing would burn Tahani more than being mistaken for Kamilah on the biggest carpet of her career… and yet it happened, forcing us to see that, yes, this is The Bad Place. It’s not quite La La Land losing Best Picture live on air, but it will delight me for a long time. 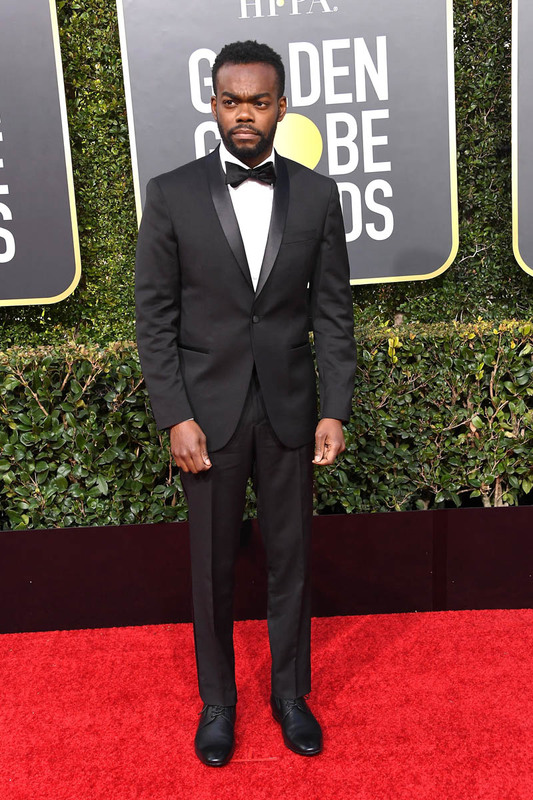 And whoever you are, you super-generating Good Place fan, we salute you.